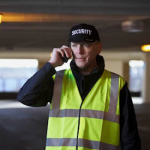 Unlike many employees who work in crews and teams in the field, security officers typically maintain a solo post at a jobsite. Timesheet Mobile™ provides vital GPS location information for professionals in this field, minimizing response time in critical or emergency situations and increasing confidence of security coverage for each job site. With an easy to use web interface, no software to download and no text or data plan to purchase, Timesheet Mobile™ allows security firms and their workers to easily capture time, location and job information using any landline or mobile phone. And with our Security Check Point feature, employees can quickly update their location without the need to log in or out of the job, increasing their safety and the ability to deliver necessary services. By eliminating inaccuracies in timekeeping and reporting, capturing worker locations and seamlessly integrating with QuickBooks Desktop and Online, Timesheet Mobile™ automates the entire timekeeping process, streamlines bookkeeping, and keep the focus on safety and security.